There is a point, no matter how careful you think you are with money when you will come to the realisation that sometimes you could do that bit more to make sure that there is something left to play with at the end of the month. There are hundreds maybe thousands of great posts out there providing tips about how to save money, but with so many it can be difficult to distinguish those that might actually work for you. The last thing I want to do is tell you to stop spending, I think we both know that is unrealistic. If like me you enjoy spending, you are going to need to change your approach to spending. If you want to stop or at the very least minimise your spending, you are going to have to make some sacrifices. These sacrifices aren’t going to be big at first but they could be the catalyst to change in other parts of your financial well-being, maybe you’ll start making your lunches for work or forgo the morning coffee and muffin. Every decision you make now will in some way make a difference to your future finances and unless you change your current mindset with regards to spending, things aren’t going to change. Below are six tips that I use to make sure that I control my spending. First and foremost we are generally going to spend because there is something that we believe it is going to fulfil a want or need, whether that be that new handbag, TV subscription, a new car or that new pair of shoes that says you like me so much you want to buy me in various colours to go with outfits that you have not bought yet. Believe me when I say this, material possessions that lose their value aren’t going to change your life. Growing up I was always of the belief that having the newest pair of trainers or the nicest car would get me respect from my peers, it didn’t. We have come to expect immediate gratification in every aspect of our daily lives. It appears that we have lost the ability or just don’t want to save for purchases in favour of being able to buy now and pay later. To be able to get this immediate gratification some of us are prepared to spread the cost, making minimum payments and paying interest for the privilege. This gratification is fleeting and the sense of gratification that we get from purchases is lost almost instantly in some cases. Whether it’s debt, a relationship breakdown, depression or anything else that you can’t or don’t want to address, spending can give us an momentary escape from what is going on in our in lives. When I was younger I would always ask my mum for the latest pair of trainers or the latest games console. Did these things make me happy, for a short time yes, but over the longer term no and once this feeling had happiness had gone I was asking for something else. Thinking about it as I’m older, I believe that I was asking for these as a substitute for what was missing. I didn’t associate with many people outside of school and having these possessions, I thought, were away of forgetting that others my age were out meeting up and having a good time. We probably all know someone that likes to advertise (show off) their latest purchase on social media, so it’s only natural to feel like you need to do the same just to keep up, unfortunately for some keeping up with the Joneses is something that is never going to go away. I would like to think, and hope you would agree, that the people that really matter in your life aren’t going to be impressed by a new purchase. You aren’t born to be defined on what you have accumulated, but the person you are and what legacy you leave behind. Whether it’s one click or your favourite shop holding our bank details, businesses have made it a lot easier to check out of their stores and as a result we are losing the association between purchasing and the exchange of money. If you you have an item in your basket leave it there for a few days and don’t go back to it. Easier said that done I know. By leaving it there you might decide that you don’t actually need the item after all or you might find it cheaper. You don’t have to be an expert in excel or a mathematical genius to be able to track your spending, I’m neither but see the value in tracking my spending so use technology to my advantage. You will no doubt have a mobile phone that allows you do download the one of the many expense trackers available from its download store. I use Account Tracker for ios and have used Money Lover when on Android. The benefit of these apps is that most of them come with a free version so if you do decide that you want to invest in their pro versions to unlock some of their extra features you can without any obligation on your part. As these apps are free you will be serviced with ads but this is a small price to pay to actually get a view of where you are spending your money. I won’t sugar coat it, budgets can be boring, but as boring as they can be, a budget can go a long way in helping you decide what you can spend on yourself after your important bills have been paid. If you have used an online or phone expense tracker you will have a good idea of what you have available to spend or invest every month. I’ve said it once and I’ll say it again, we have become to far detached from money and the association with purchases, in that sometimes we can forget or close our eyes to the fact that this will have an impact on our finances. 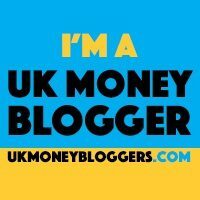 The money advice service have an excellent budget planner that you might want to check out. Like setting goals if we are unrealistic about what we want to achieve we can become disheartened and revert back to our old ways. I found it better to always start small, instead cutting out your trip to the coffee shop. Build it up over time, on week one you might not go on Monday, week two, you’ll stop on Monday and Tuesday and build this habit up until you have achieved what it is that you were looking to achieve. Don’t be too hard on yourself if you fall at the first hurdle, pick yourself up dust yourself off and start again. If everyone gave up on their first failure then where would we all be? Did you quit learning to drive just because you didn’t pass your test first time? Did you stop applying for jobs that you wanted because someone chose another candidate over you? Before we did all of our shopping on the internet, to find out whether your favourite shop had an offer/sale or promotion you either physically had to go the shop or had to be told about it from your friends or family. The internet changed all this and now all your favourite shop has to do to part you from your money is take your email address and they will let you know about their offers and promotions regularly. This can tempt you into making a purchase as you will be of the belief that you are getting a good deal, remember it’s only a good deal if you were looking to buy the item in the first place.